The field of bigfoot research is broken. Stuck in a single, repetitive loop like a scratched record. The debates, the evidence, the theories, all re-hashed and regurgitated from a bygone era of pioneers in the field. Individuals who started to blaze a trail that ultimately led nowhere. But why did that trail come to a halt? How did bigfoot research find its way onto this never ending loop, passing the same tree over and over again? Is there anything that can be done to end the cycle? Recently I've found myself focused on this problem, or at least a problem as I see it. Why are these debates repeated time and time again? The simple answer is because they were never put to rest in the first place. They were never solved. Evidence of these creatures existence has not progressed. At all. Sighting reports, audio recordings, track castings, limb formations, indiscernible photos and video, repeat. After all these years, where's the advancement? What have we truly learned? Not much. Do you know why we do calls in the field? Obvious answer, to illicit a response. But really, why do we do them? Because on rare occasions something (we're not sure what) makes one back. We don't know if it is a bigfoot or not really, but since we can't always readily identify it we are willing to say it probably is. But let's go just a bit deeper into the origin. Why do people do calls in the field? Because they saw or heard about someone else doing it. Now let's look at tree knocks. 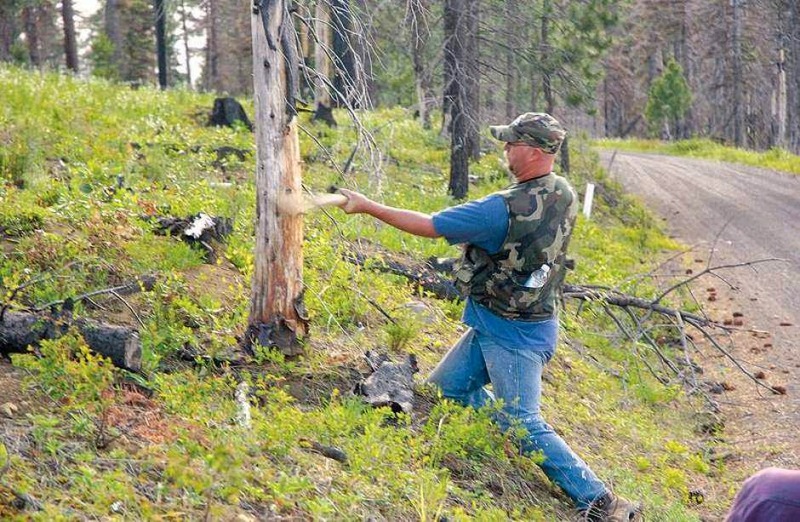 Why do we go around whacking sticks against tree trunks? Because on rare occasions we hear something that sounds like a stick whacking a tree trunk. On even rarer occasions when we do it something does it back. We don't really know if it is a bigfoot or not, but since we don't know what it is, we are willing to say it probably is. Once again going deeper, but why do we really do it? Because we saw or heard someone else doing it. Notice the cycle forming here? 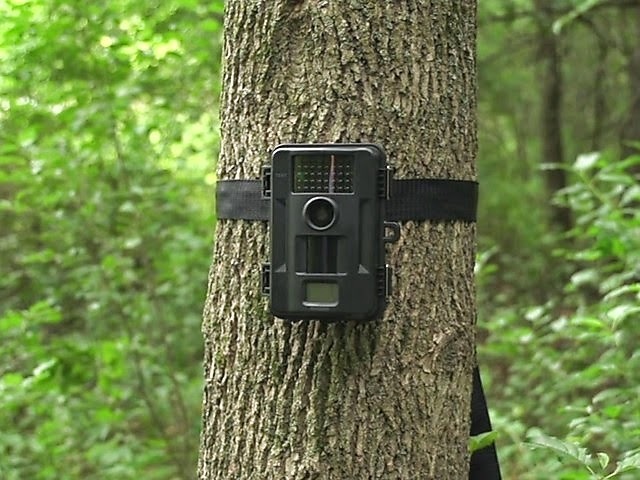 Another popular tool in bigfooting is the game tracker camera. A camera system designed to detect motion and capture a photo or video of whatever it was that triggered the camera. The debate rages on as to why these things have not been successful in capturing that perfect image of a bigfoot. 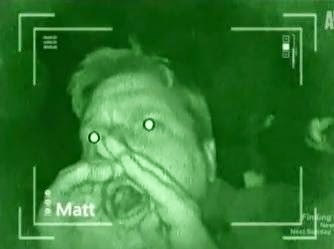 The bigfoot can smell them, they can hear them, they can see the ir light, they saw you put the camera up, they are psychic and know they are there, etc. etc. Yet regardless of what the position of the individual is, there is never a "fix" to the problem discussed or attempted. Just the debate. Furthermore, why are people still wasting their time with them if they aren't working in the manner they are being used? If your car stops running, do you spend the rest of your life debating as to why it isn't running, and spend the rest of your days sitting there trying to start it over and over again? Or do you try to fix it, or find another means of travel if necessary to keep moving forward? The answer seems obvious enough, but in the bigfoot world it eludes us as much as the bigfoot do. I understand though. It's easy to get caught up in the debates. We tend to focus our attention more on the debating than the puzzle. We spend more time talking about one another and how our beliefs do not align with one another than we do discussing the mystery we're trying to solve. I'm going to blame that endless loop we're stuck on for that one. If we're not discovering anything new, or we're not making any progress, what is there really left to talk about? How about we discuss how to break the cycle? Let's face it, the forefathers of this field had no idea what they were getting into. I'm sure most of them thought for sure it would be settled by now. 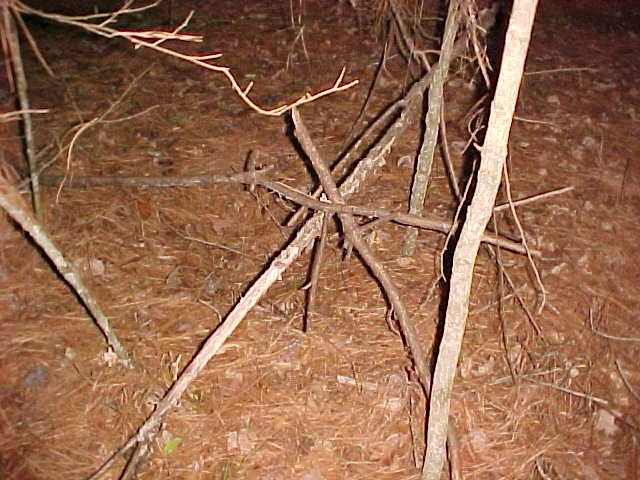 They believed these things were out there, so if you spend enough time tracking them down eventually you would be able to bring one in. Don't let this ruffle your feathers, but most of the original bigfooters out there carried guns and had every intention of shooting one to prove they existed. How's that for your no kill/pro-kill debate? Why wouldn't they think this way? How long did it take Roger and Bob to film one in their quest? A lot less time than it's taken since then to duplicate it. Time advanced, and things got more desperate. People started coming up with new theories. They started coming up with explanations to things they were finding. These theories became accepted by their peers, at least most of them, and so it was. Those items got recorded in books and journals, talked about, passed around, so on and so forth. All the way to modern day where those same ideas and theories are accepted by the majority of researchers. Meanwhile the skeptical community can sit back and just rip those items to shreds. There's nothing to support them. There's no data. There's no true documentation. I believe we need to start over. A reboot. Instead of following the lead of those that have come before us, allow the evidence we find (or don't find) lead our research. Throw everything you think you know or have accomplished out the window and start over from scratch. This time, doing it the right way. Documenting not only your evidence findings, but your research as well. Break out your fine-toothed comb. Document where your research area is, why you are choosing that location, and then document your search in that area for evidence. Is there anything there? Be honest, not hopeful or defensive. People are going to be critical of any evidence you bring to the table. They are going to scrutinize it. You know this going into it, so be prepared. The fact of the matter is the evidence you collect should stand on its own, and it will if you have documented and collected it properly. For instance, you know if you see a ground impression that vaguely resembles the outline of a large foot, and you make a plaster cast of that impression, people are going to tear it apart. You know yourself you don't know for a fact a bigfoot was responsible for it, so why would you bring a glob of plaster back and call it evidence? What was the point in even casting it? You could have instead made note of it, taken the measurements as closely as possible, take a photo of it, and then follow it either forward or backward to see where it came from or where it was going. This sort of action can not only lead you to evidence worth collecting, but can also help you discern if it was really a track or not. There's no such thing as "one track". There are however people not properly educated on tracking. It's time to start fresh. Time to take baby steps, and time to do things correctly. Quit blaming the skeptics, scientists, and cynics for not believing the way we do. Learn the standards needed for acceptance, and then adhere to those standards in our research. Otherwise we will be forever stuck on this perpetual merry-go-round, chasing our own tails. Sounds good, but (not being critical!) even this article is a reboot of the same thing that's been said/written/suggested/discussed dozens of times before, and HERE is the actual problem: People on the Internet complain about the same old things, the "lack" of evidence, etc, but what those people (the vast majority of whom do not ever actually step into the woods) fail to realize is that there IS solid research going on. There IS amazing stuff happening, ground-breaking evidence being gathered, all of it being properly documented--but not by people who spend their lives fighting over why nobody ELSE is getting anything. People who ARE getting good stuff have learned that it's absolutely pointless to share it among this tiny subculture of people who they don't really know, and certainly can't trust. For them (us, I guess I mean), it's no longer about needing to find the answer to the question, "Do they exist." We've got the answer, and the second that happens, the feeling that we need to prove anything to anyone disappears, and it becomes no more than a need to find more answers for ourselves. When -- and it will be "when" as opposed to "if" -- when some person or group finally does come forward with irrefutable evidence, they'll have already gotten their ducks in order, evidence scrutinized and backed-up by professionals NOT involved in this field, and it'll be published scientifically and professionally...not dropped onto an Internet forum to feed the trolls. It may be my group, it may be some other one (and I do know there are others out there quietly doing their thing who are getting stuff as good as ours), but it will happen. 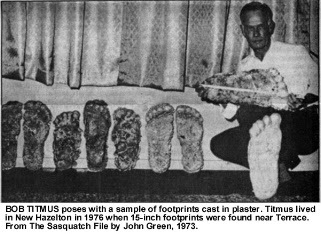 The Truth, over the past 50 years there has been No Progress in the search for Bigfoot. Even with night vision, inferred, thermals, HD cams and 100's of thousands of trail cams, footers are no closer now then they were 50 years ago. LOL.... you just keep on believing that. Interesting article. I comment as a scientist who does not discount the likelihood that bigfoot is real. For me the PG film is enough, its not enough for science, which will be the ultimate judge of the reality of bigfoot in terms of legal recognition and protection. To reboot, those doing bigfoot 'research' need to be much more judicious and aggressive in policing their ranks. 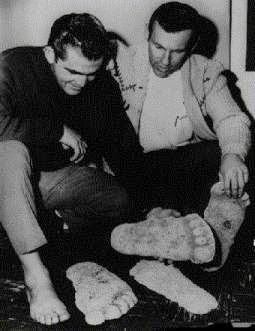 It will take a long time in my opinion to regain any semblance of credibility after what folks like Dyer and Melba have done to the world of bigfooting. This is important, because the documentation of bigfoot and bigfoot ecology could really benefit from scientists...like Dr. Meldrum....but because the field has become stereotyped to the likes of snake oil salesmen like Dyer, Melba, et al. credible scientists shy away...and they should. I encourage a serious consideration to standardize methodology across all 'researchers', so that information, findings, data, can be easily compared across regions and investigators. This is a first step in doing good research and good science. Question everything..good science, good research can only be self correcting --a good thing-- if investigators are skeptical and critical of their own work and that of others....respect the person, but scrutinize their work. And learn to use your video and still cameras properly and professionally....fuzzy wobbly blob squatches hurts the effort and makes everyone look like hoaxsters. Might be a long time before you see the fruits of a reboot effort, but there's no time like the present. Excellent blog post. You are right of course, but unfortunately bigfoot is a religion for most researchers. They have their rituals and your suggestions are blasphemous to them. So the knocks and howls will continue -- and all responses are proof.